An interesting propaganda pack depicting the various religions of the Soviet Empire. 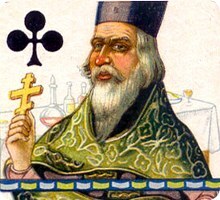 Clubs represent the Russian Orthodox church, Hearts Roman Catholicism, Spades Confucianism and Diamonds represent Judaism. The Joker is depicted as a top-hatted Capitalist holding the strings of the four religions. The Russians were no strangers to propaganda cards. The Bolsheviks tried to distribute these anti-Religion playing cards at the 1933 Chicago “Century of Progress” World’s Fair. Printed in chromolithography by the Soviet Union State Playing Card Monopoly, early 1930s. 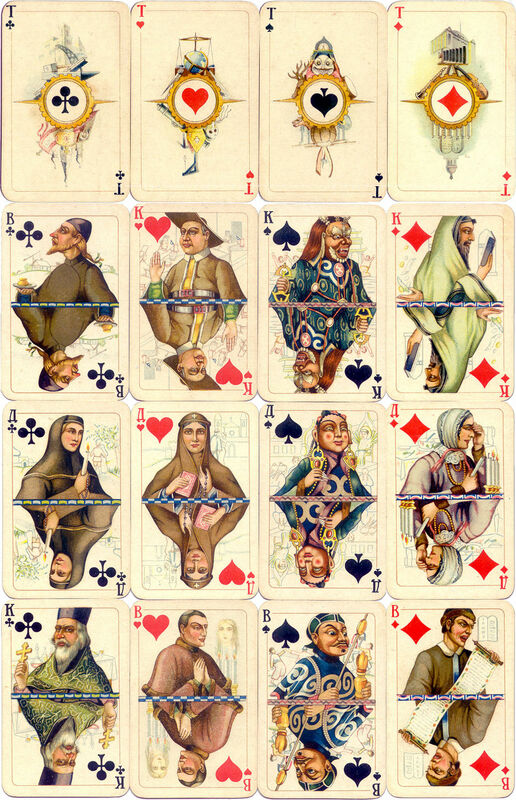 Above and right: Russian “Anti-Religions” Playing Cards, each suit relating to a religion, printed by chromolithography, 1930s. 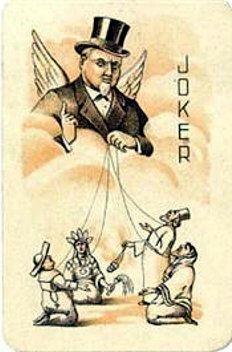 52 cards + the Joker, depicted as a top-hatted Capitalist holding the strings of the four religions. 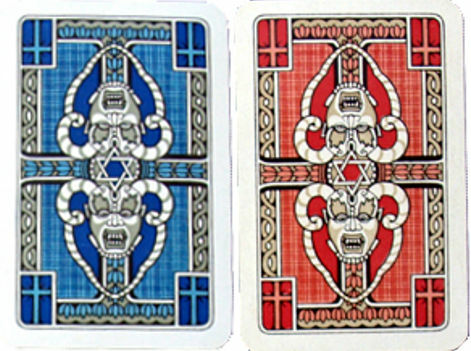 The backs show a horned face masque design and Star of David in red or blue and white; silvered edges. Images courtesy Barney Townshend.